Nicholas was born in 1245 in Sant’Angelo in Pontano, in the Eastern part of central Italy. 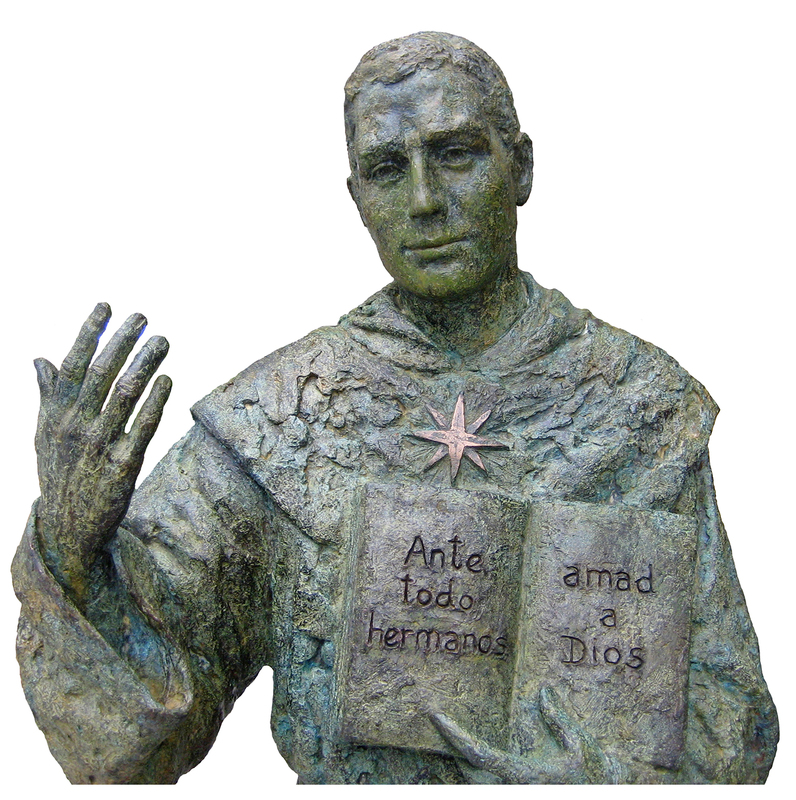 He made his profession as an Augustinian in 1261 and he received his formation in the houses of the Order until being ordained a priest in 1270. After his ordination, he lived for six years in different religious houses in his home region. He belonged to one of what are called “mendicant” orders, which were expanding at the time. Their members were called “friars”, from the Latin word frater, which means “brother”, and the friar came and went, always at the service of the people. After this almost itinerant first stage, when he was around 30 years old, Nicholas was transferred to Tolentino, still in the same region of Italy. 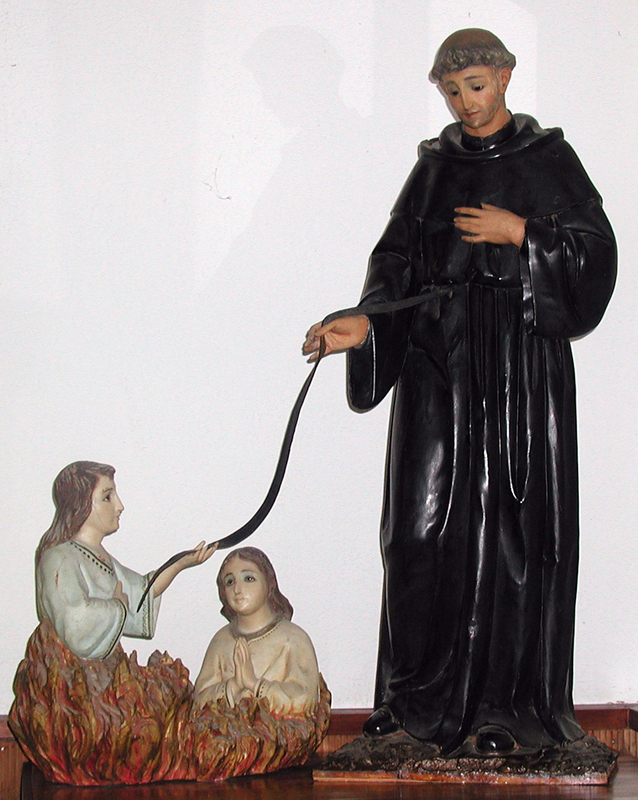 This Nicholas of Tolentino is the real Nicholas, the saint. 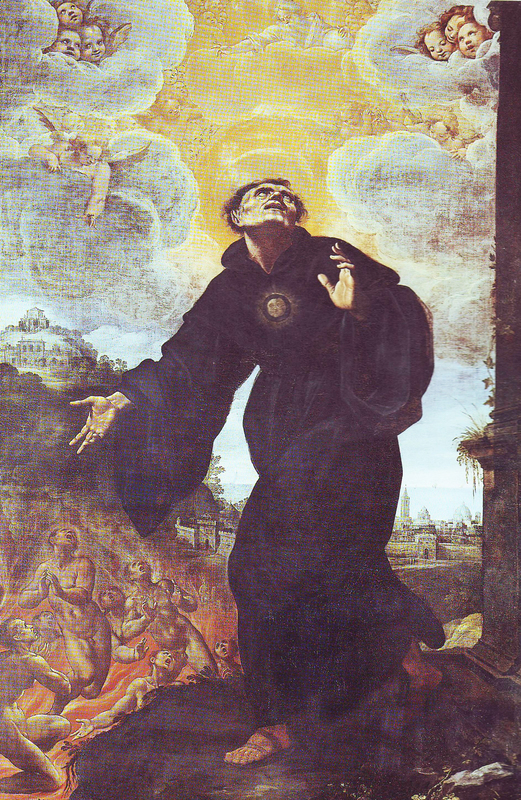 An austere and penitent saint and certainly one who practised mortification in what he ate. Except in case of serious illness, he fasted four times a week, and every day during Advent and Lent. Even when he wasn’t fasting, his food was extremely frugal, based on vegetables, pulses, and some bread. In the final thirty years of his life, neither meat, milk, fish, or fruit passed his lips. It is certain that an ascetic life can be neither lived nor understood without prayer, which is what gives it life. And Nicholas was an extraordinary man of prayer. He spent at least 15 hours a day in prayer: the whole day, apart from three hours’ sleep, another three spent in the confessional and on other activities and, finally, the time spent at table. With regard to his style of prayer, it was always centred on the liturgy. He never neglected his choir duties, the Divine Office, not even during times of severe illness; he was always the first one present, and the last one to leave. 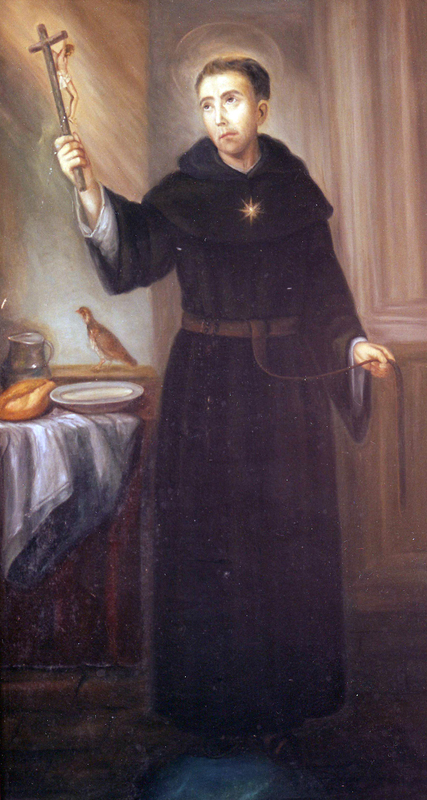 And he never missed Mass, which was what nourished him. Many people testified to how his manner of celebrating Mass impressed them. But he was certainly no antisocial ascetic. Memories of him agree on this. We can quote one of many people: “He was charitable and understanding, and he was very distressed by the needs and the sicknesses of those who were ill, and he found much joy in their joys; he was also very friendly and humane in his dealings with the brothers”. It was the same with lay people: he was welcoming and attentive. However ill he was himself, whoever approached him or came to his cell was received in a friendly manner, showing understanding and availability. The greatest proof of this was given in the confessional. One only has to consider that almost everyone in Tolentino went to confession with him, and he was always available at any time for whoever came to him. 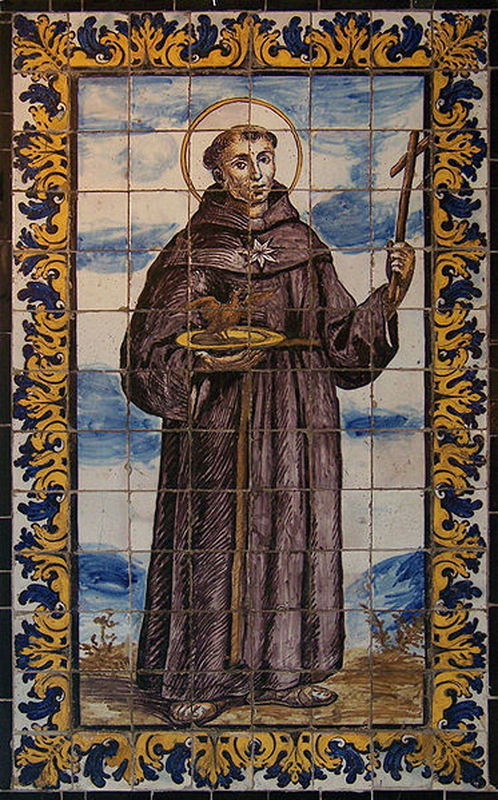 As a good mendicant friar, Nicholas was in close contact with the people, especially with the poor. The people’s joys and sorrows were his too. He received everyone in his cell, and he himself was received warmly in every home. The social apostolate that gave him greatest pleasure was home visiting. 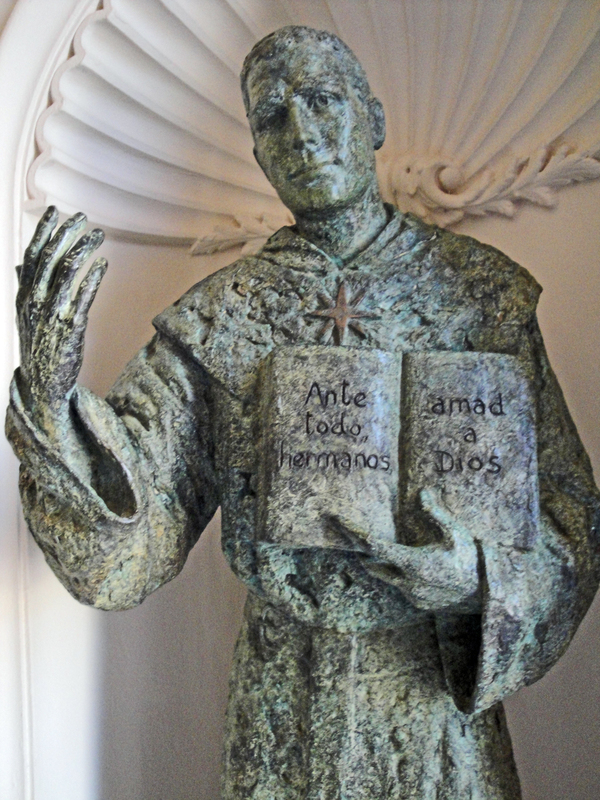 Twenty, thirty, forty years later, during the process of Nicholas’ canonisation, several witnesses still remembered him going around the most deprived neighbourhoods of Tolentino, and were even able to remember by name more than a hundred people in need who were helped by him. 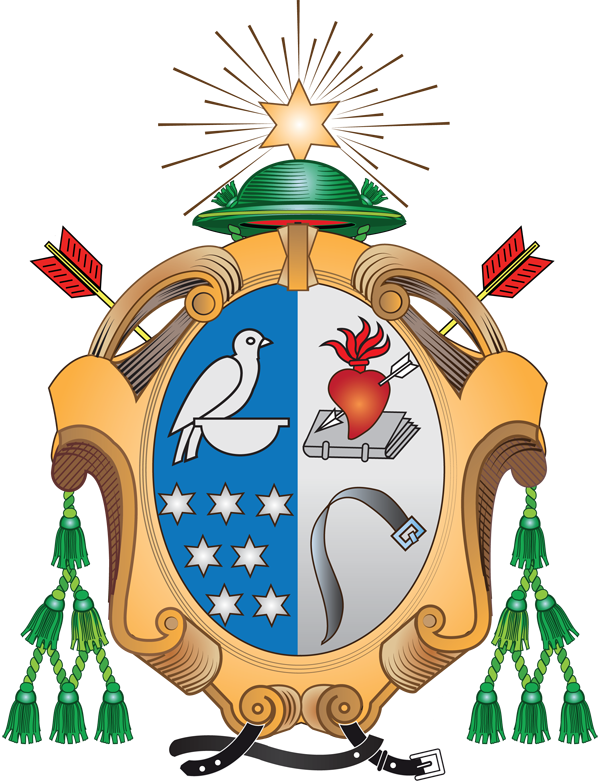 On the outside are the decorative surround, the two arrows, a cardinal’s hat with tassels, all taken from the arms of the Recollect Order. The latter’s basic design consists of a heart on fire and pierced by either one or two arrows. 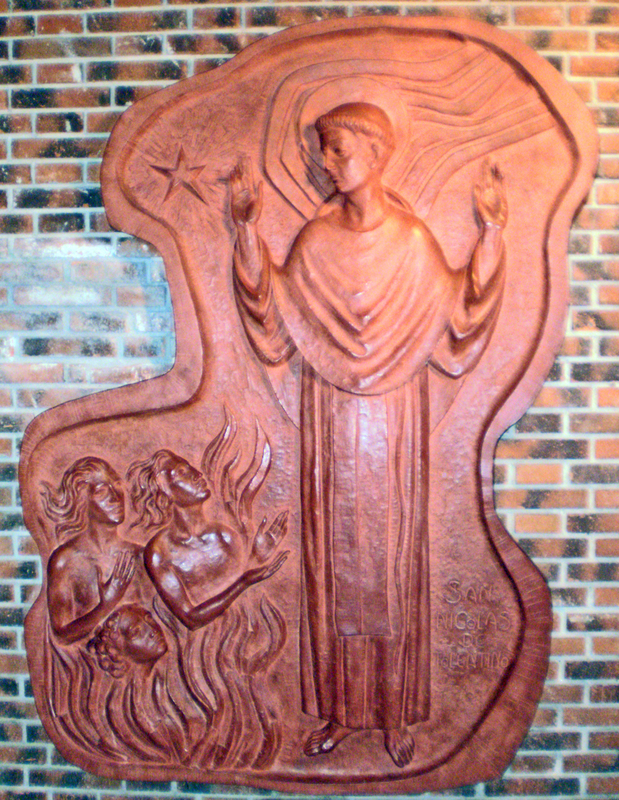 This represents the burning love of God and his fellow men and women in the heart of Augustine. In the early part of the 20th century the entire Order gained renewal and new life from the province of St. Nicholas and because of this we find St. Nicholas represented by a lily at the base of the coat of arms. The four quarters on the inside are peculiar to the Province of St. Nicholas of Tolentine. The heart pierced by the arrow, and the book are from the Coat of Arms of the Order. 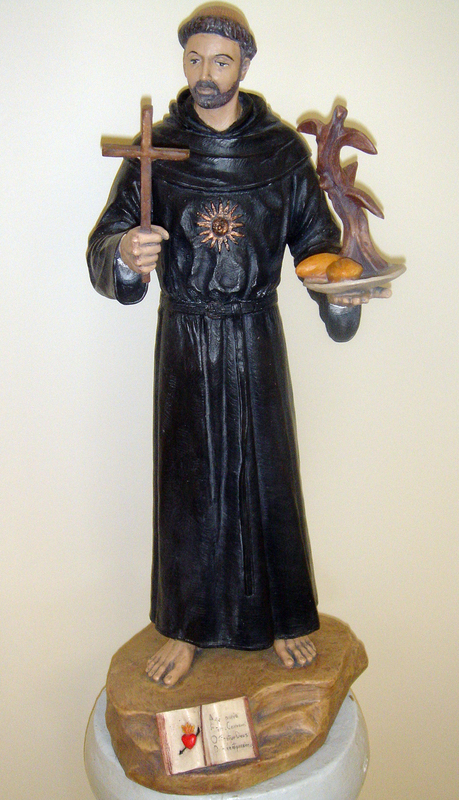 The Province of St. Nicholas of Tolentine belongs to the Order of Augustinian Recollects. The belt makes special reference to St. Nicholas and his devotion to the Holy Souls, of whom he is now the patron saint. The star, the most common symbol of St. Nicholas recalls a vision he had I which a star represented his own life and holiness. The partridge on a platter is also a popular emblem, referring to a miracle recounted of Nicholas who was well-known for his mortification. On being presented with a roast partridge by a devotee he ordered the bird to fly away.